Ultimate indignity; ultimate crash blossom. "Death Happens More Slowly Than Thought", Seeker (7/23/13), one cell at a time. Garden-path headline of the day — Stephen Burgen, "Fake degree claims dog prominent Spanish politicians", The Guardian 4/10/2018. By the usual rules of U.K. headlinese, it seem that the first four words should reference a dog that somehow played a key role in some fake degree claims. But no. 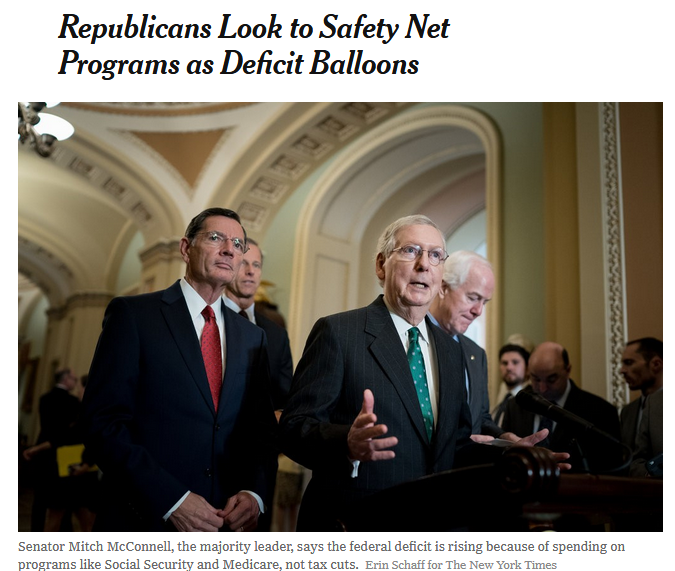 What is Trump demanding now? 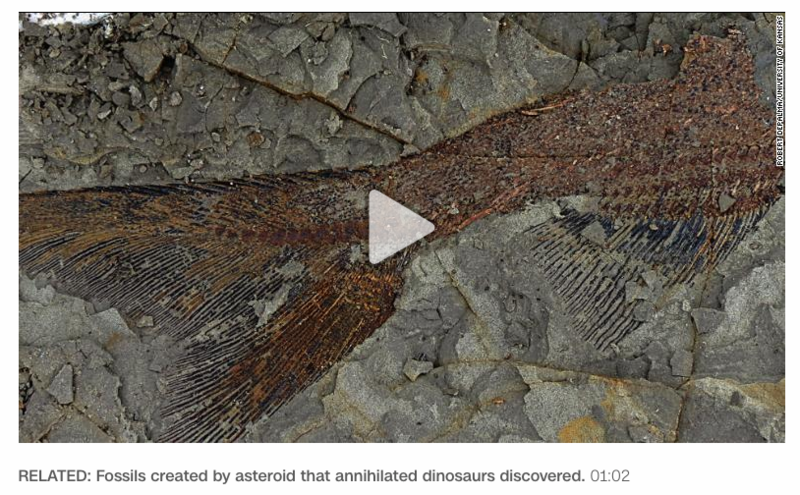 Here's a nice crash blossom (that is, a difficult-to-parse ambiguous headline) noted on Twitter by The Economist's Lane Greene, with credit to his colleague James Waddell. In The Financial Times, a promotion of an article inside (a "reefer" in newspaper-speak) is headlined: "Trump demands dog 'Dreamers' deal." Drink-drive killer girlfriend did what? 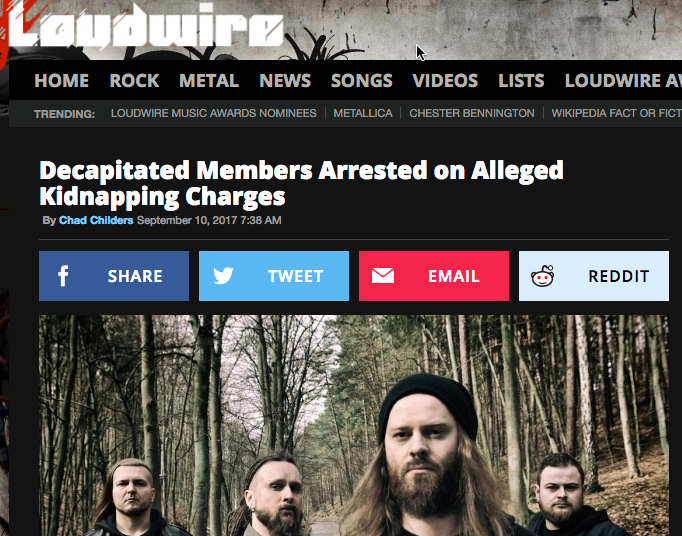 Chad Childers, "Decapitated Members Arrested on Alleged Kidnapping Charges", Loudwire 9/10/2017. But will they be tried separately? 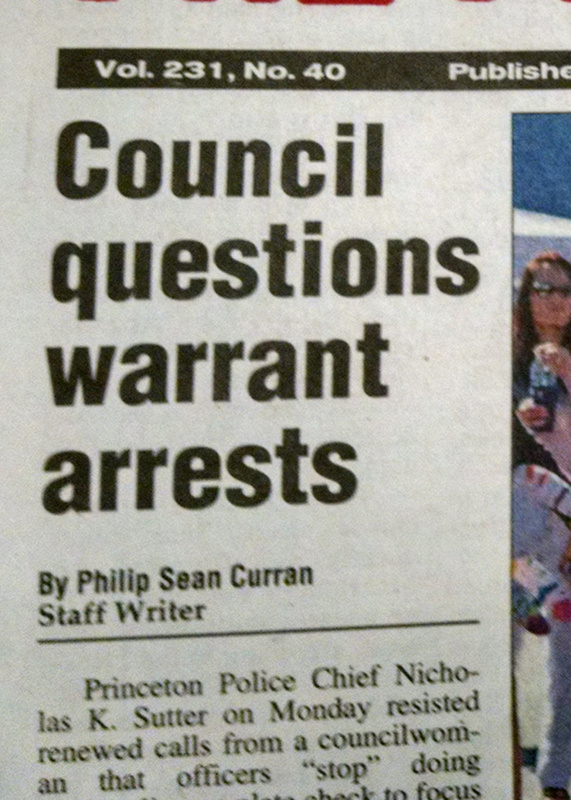 First Amendment in peril in Princeton? Maybe free speech, even the political kind, is in greater danger than we thought! 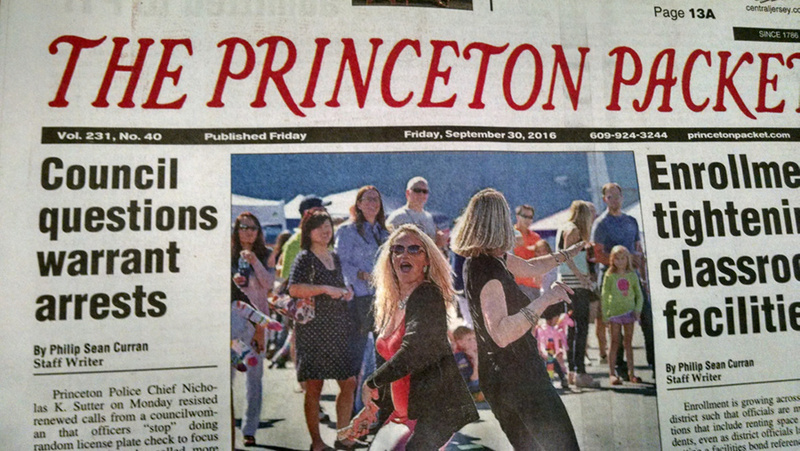 The online version of the headline is much longer, and not ambiguous in the same way: Philip Sean Curran, "PRINCETON: Police chief resists renewed calls to stop random license plate checks, focus more on speeding", The Princeton Packet 9/28/2016. The latest message in the unending stream of spam sent my way by PayPal bears the Subject line "A great deal to get away from Hotels.com". My immediate response was that I don't need any help in getting away from hotels.com, thank you very much. But of course they're not offering to help me avoid hotels.com — rather they're trying to hook me up with hotels.com for a "get away". A North Carolina state trooper shot and killed 29-year-old Daniel Harris — who was not only unarmed, but deaf — just feet from his home, over a speeding violation. According to early reports from neighbors who witnessed the shooting this past Thursday night, Harris was shot and killed "almost immediately" after exiting his vehicle.